Anne Boleyn arouses passion and extensive interest in both historians and a wider audience alike. 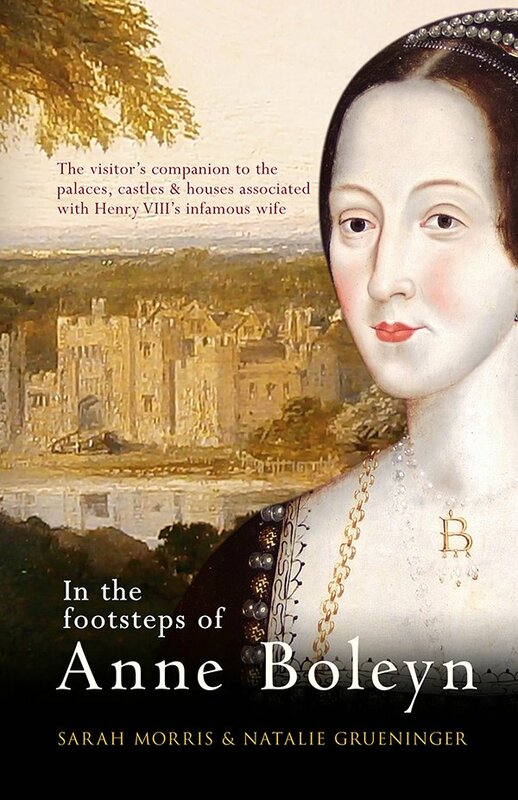 For those people following Tudor history and the Boleyn story, this ‘visitors companion’ offers an unusual perspective; it is a short biographical history, a guide to the many places associated with Anne’s life and information about the Boleyn treasures. Maps of the sites associated with Anne’s life are included as are 139 illustrations and a final chapter on extensive further reading. The Boleyn family tree helps the reader navigate the complexities of family relationships over nearly 200 years ending with the birth of Elizabeth I. The authors argue that their visits to the many locations described brought ‘depth, colour and texture’ to a life otherwise only accessible from the pages of history and it is this perspective that certainly adds much to what we know about Anne Boleyn. The authors discuss the effect that Anne’s time in the Low Countries and France had on her character. They introduce the reader to the ‘influences of the indomitable Margaret of Austria on an impressionable English girl’, and discuss traits which would ‘shape a renaissance queen.’ Anne’s time in France is reflected on including places she would have seen and visited in Paris and amongst the chateaux of the Loire. The Field of Cloth of Gold is described, not from a historical standpoint but as a spectacle that would have impressed the nineteen year old girl. The book is a Tudor royal ‘progress’ taking the reader to all the most well known castles and great houses of the period. None are missed; Hampton Court, Hever Castle, Windsor, Beaulieu Palace are all here as well as many lesser known sites such as Rochford Hall in Essex where Henry VIII is said to have had clandestine meetings with his future queen. Similarly, our ‘progress’ takes us to the most influential cities and towns of the time; Dover, Canterbury, Calais, Sandwich, Southampton and many more. A guide to Anne’s Coronation procession allows our own progress to follow Anne through the streets of London. Her glittering life in the capitol takes in Whitehall Palace, Westminster Abbey, Richmond Palace, Greenwich Palace (where many of the most momentous events in Anne’s life played out) and many more; the authors explore what these places might have been like in 16th century London as well as delivering a modern guide. The Tower gets special mention of course. Readers will find this an interesting guide and will no doubt be curious about the five myths of Anne and the Tower and the location of the scaffold on Tower Hill where her brother and other ‘plotters’ were executed. Our own ‘progress’ follows ‘one of the longest and most politically significant progresses of the kings’ reign. ’ The abbeys, castles and great houses of Reading, Oxfordshire, Tewksbury, Gloucester, Wiltshire and Hampshire all have their place. Your ‘progress’ may take in ‘the mystery of Forthampton Court’ and the Vineyard at Over, the medieval fortress of Berkeley Castle and even Wolfhall; and you would of course delay your return to avoid the plague in London, just as the royal party did! This introduction to the people and places Anne experienced gives some idea of how power was exercised and influenced in the 16th century. We may know something of individual palaces and events which took place there; this book catalogues the enormous number of palaces, castles, great houses and abbeys central to the Tudor world and something of the role they played in the Tudor court. The book is unusual in that respect. I was sceptical about this book when I received it. I didn’t know whether it was a guide book or history book. Having read it I think it will be a useful addition to your library. It will be my companion on site visits and it will help plan my own Tudor ‘progress’. It is particularly useful in that it brings together much (usually) scattered information into one place and links places, events and context together. It is a useful reference book with extensive links to further information.